The celebration of San Lorenzo in Florence takes place every year on August 10th. It is a popular event amongst the Fiorentini, but also one with deep roots in the history of the city. San Lorenzo is the co-patron saint of Florence and the Basilica of San Lorenzo, consecrated in the year 393, is the oldest church in Florence. Centuries later the Basilica became the parish church of the powerful Medici family, and no less than fifty members of Florence’s most famous family are buried in the Medici Chapels and adjoining crypt. 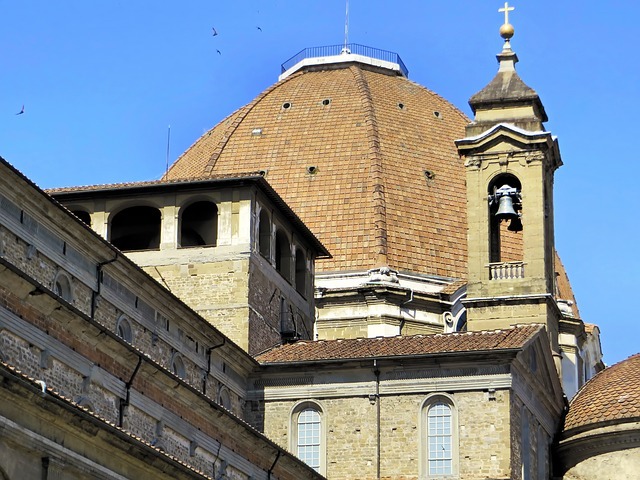 The celebration starts in the morning with the historical parade of the Florentine Republic that winds its way through the center to the Basilica of San Lorenzo where the traditional Mass will be celebrated with the offering of candles and the blessing of the city. In the evening a classical music performance in front of the church and the traditional handing out of lasagna, watermelon and yogurt and whipped cream to the public. 10 am | The Historical Parade of the Florentine Republic will start from Piazzetta di Parte Guelfa directed towards the Basilica in Piazza San Lorenzo passing Via Porta Rossa, Via Vacchereccia, Piazza Signoria – where the Banner of the City of Florence will join the parade – Via Calzaiuoli, Piazza San Giovanni, Via Martelli, Via dei Gori. Inside the Basilica of San Lorenzo, the traditional Mass will be celebrated with the offering of candles and the blessing of the city. 11 am | The Historical Parade will cross the center again in the opposite direction, going back to Piazzetta di Parte Guelfa, where it is set to arrive around 11.30 am. 8 pm – Piazza San Lorenzo | Music with the Philharmonic O. Benelli di Vergaio (Prato) in front of the Basilica. 10 pm – Next to the Basilica (side Canto de’ Nelli) | lasagna, watermelon and yogurt and whipped cream to the public.